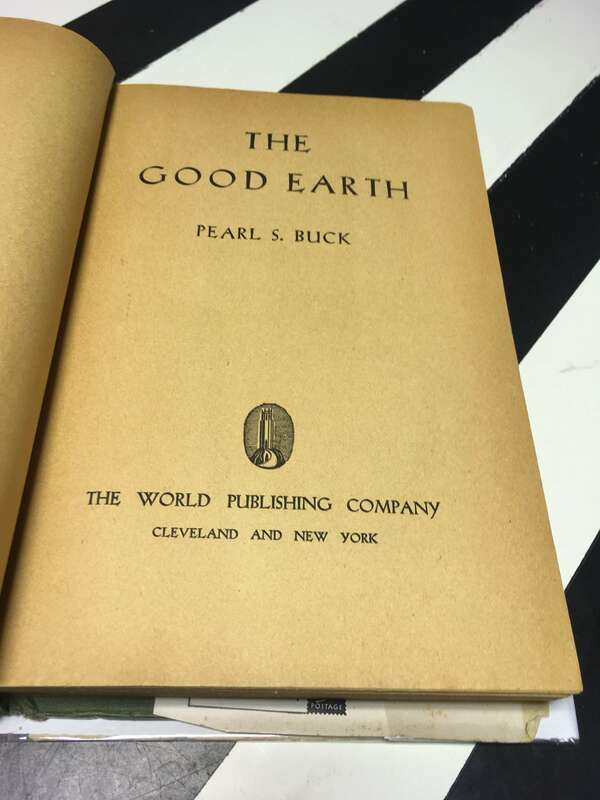 Cleveland/New York: The World Publishing Company. 1931. 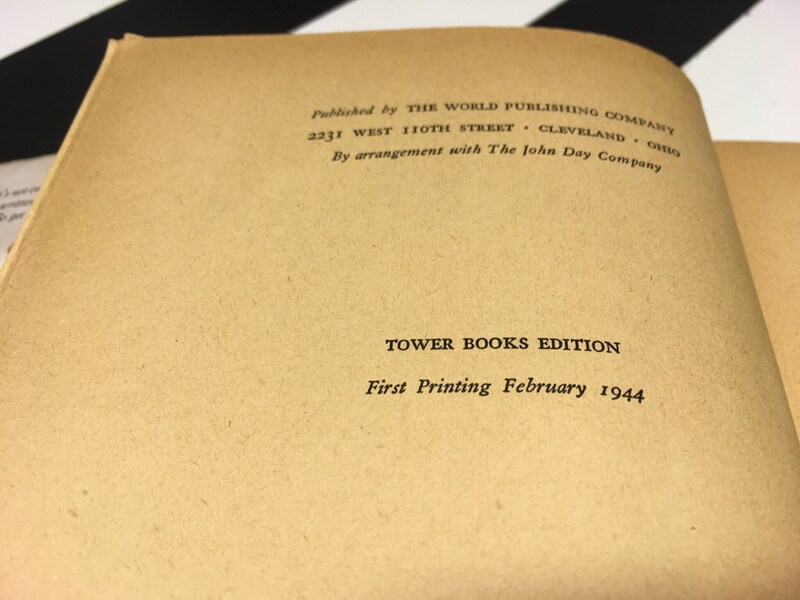 Tower Books Edition First Printing February 1944. Hardcover. 8vo. Green cloth boards with red lettering. 318pp. Reprint edition. Poor condition. Extensive wear to edges of boards. 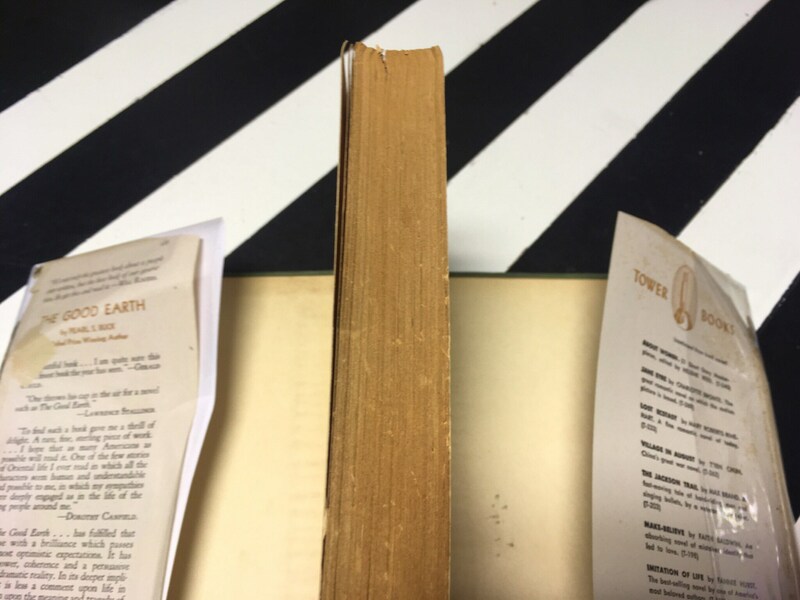 Binding is rolled with minor separation of textblock from spine. Extensie toning to edges of text block/inner boards/pages of text. 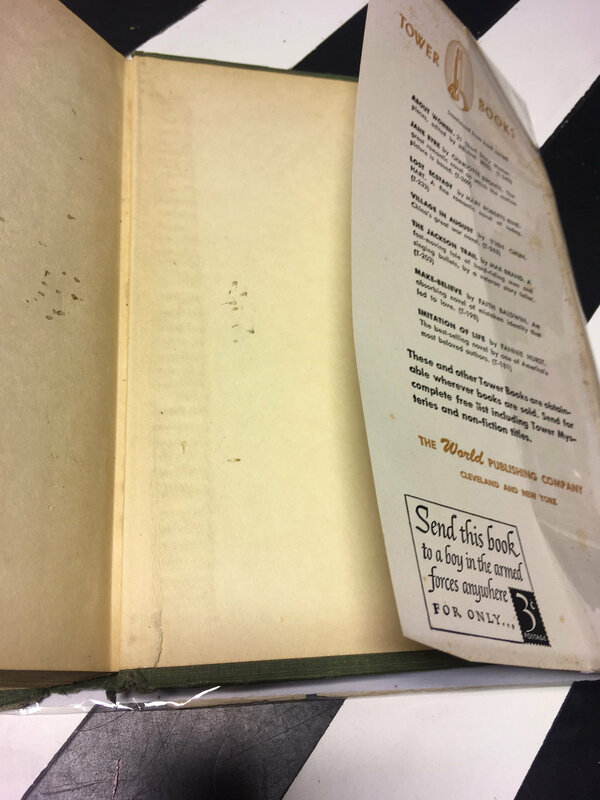 Speckled areas of discoloration (as pictured to rear, inner board). Foxing to inner boards. Fragile hinges. 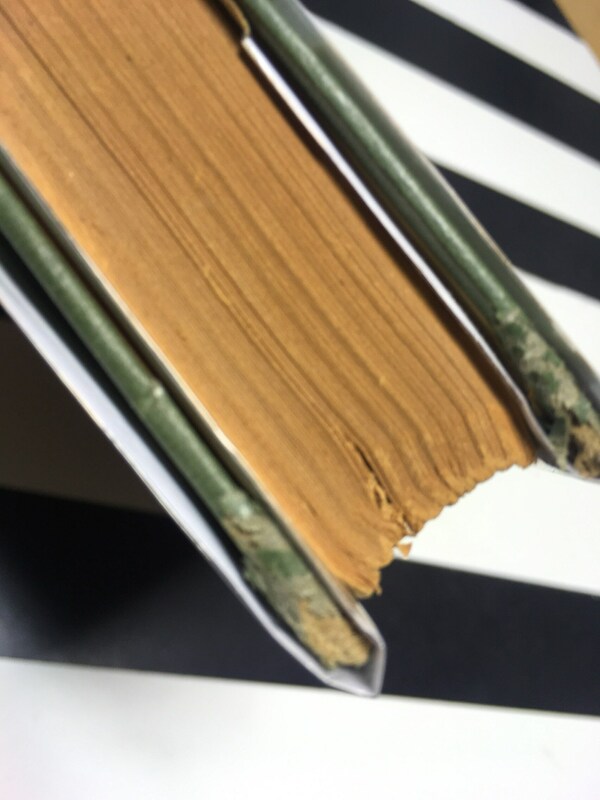 Fragile pages. 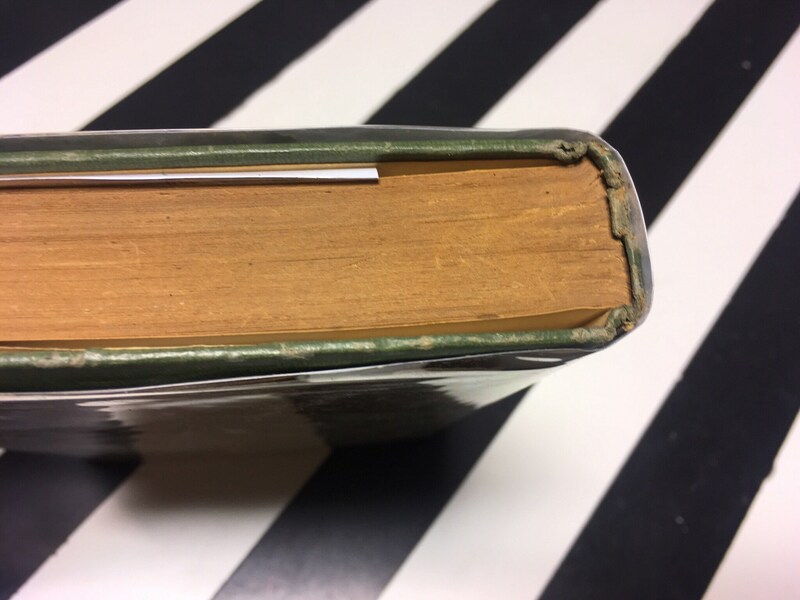 Previous bookstore price written on pencil to upper edge of front endpaper. 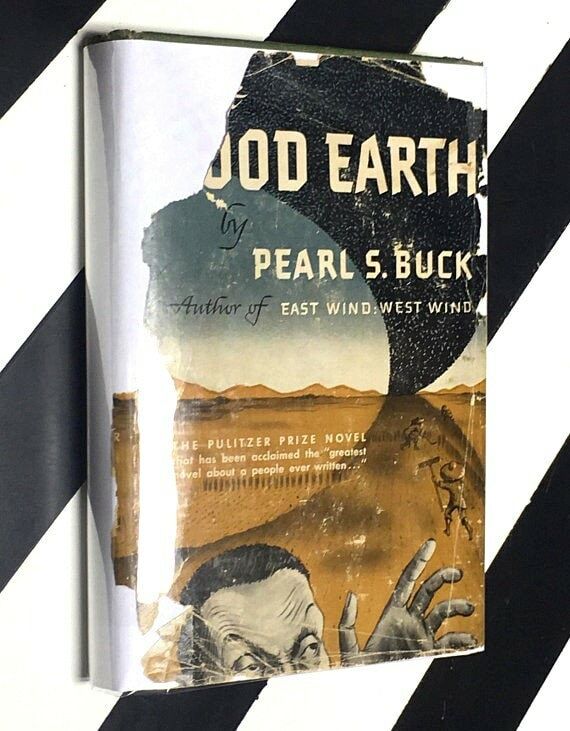 Dust jacket in very poor condition. 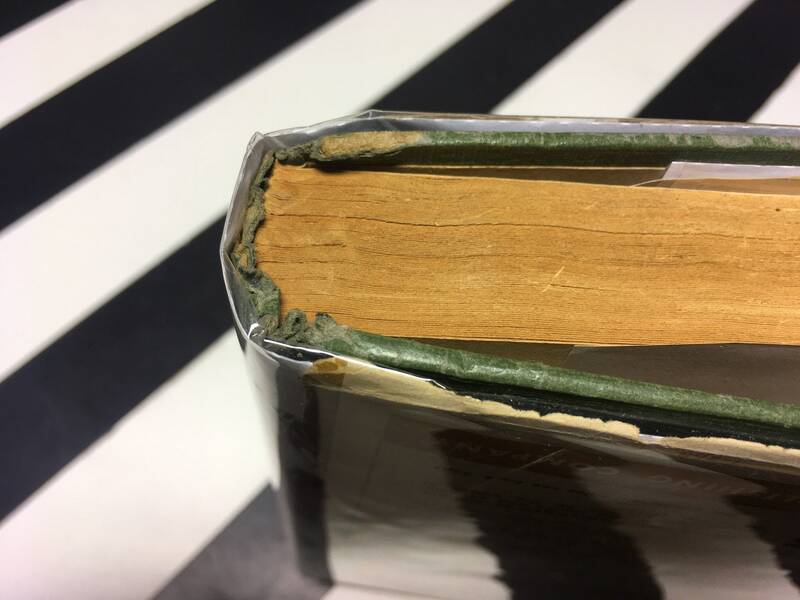 Dust jacket is in pieces and held together with protective plastic. 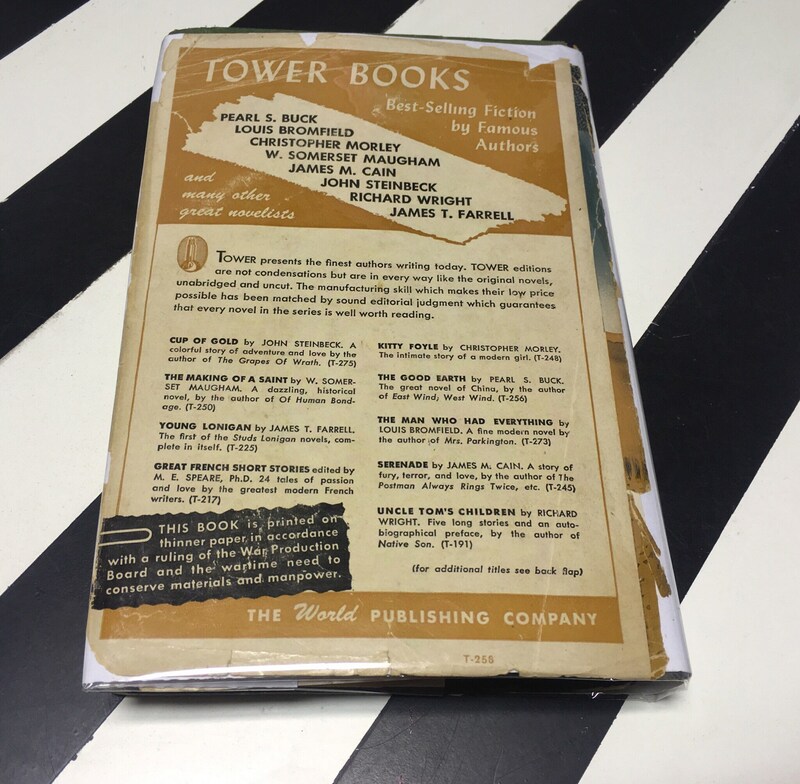 Missing spine of dust jacket. 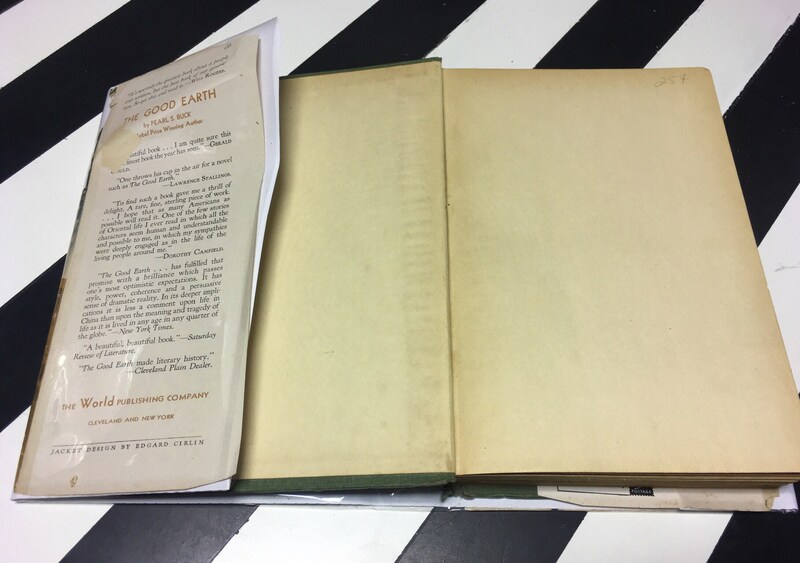 Large open tears to front/rear covers.